On her sixth tour of Myanmar, UN human rights expert Yanghee Lee made a stop to meet with Karen social organizations in Hpa-an township, Kayin (Karen) State on July 16. “We discussed issues related to education, health, traditions and culture, women’s rights and rule of law. I discussed the situation of literature and culture. We were only submitting information about our situation. She didn’t give back any comments,” said Saw Kyaw Swar, secretary of the Karen Affairs Committee (KAC). The meeting involved 11 Kayin State-based and border-based organizations, including the Karen Women’s Organization (KWO), the Karen Human Rights Group (KHRG) and the Karen Environmental and Social Action Network. “We told her about the domestic issues and the lack of funds for women whenever a women’s issue arises in Myanmar. We can’t say we were satisfied with the meeting because we don’t know how she will respond,” said Nan Myint Aung, a representative from Kayin State social organization. UN Special Rapporteur on the situation of human rights in Myanmar, Yanghee Lee, is visiting Myanmar until July 21. Her itinerary for the two-week trip includes Shan, Rakhine and Kayin states, as well as Yangon and Nay Pyi Taw. 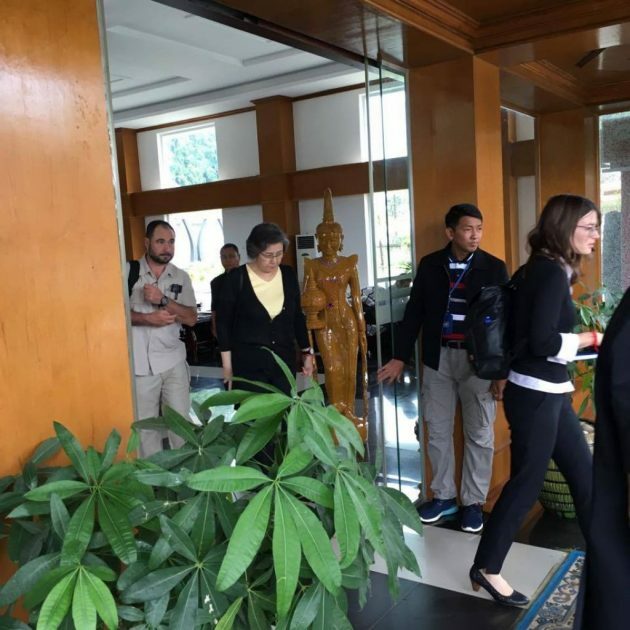 Before her July 10 arrival, Ms Lee had said in a statement that she was “especially concerned with the escalating security situation in many parts of the country which have grave consequence for human rights in Myanmar”. She is expected to present a report about the human rights conditions observed in Myanmar to the UN General Assembly in October.